first impression: Nice though fleeting head. Scent overwhelming with hops in the best way. Quite pale and varied in color, and very clear. Just a bit bubbly and active in the glass. Hoppy bite is nice and heady. Fairly smooth, esp. compared to 90 Minute, and other hoppy brews, but still very nice. Good malty overtones. A very enjoyable brew, if a bit smooth for my tastes. Visuals — Color, depth, belgian lace, legs: Color is rich and varied. Body is deep and malleable with movement. Lace is nice, if a bit light and airy. Olfactory — Aroma: Hops are most present, thought the scent is a bit wheaty. 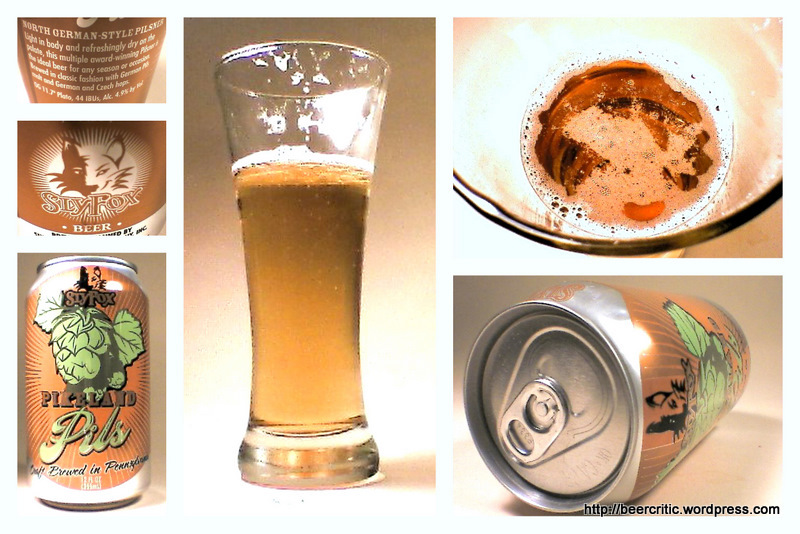 Taste — Hoppiness, bite, maltiness, flavor: Bite is nice but overtaken with sweetness and a bit of cloy, which intrudes. Still, very nice overall. Tactile — weight, mouthfeel: Weight is good for a lighter brew. Stands tall as an IPA, almost as though it were a stout. Bites throughout tasting – a bit airy and carbonated, but not too much so. second impression: A very nice brew, quite hoppy, a bit bitter, and tasty throughout. Color and weight are average, but flavor is enjoyable and attractive. Tends to be pricey for value. Aroma: hops, citrus, stinging, and pine needles. Invigorating. Visuals: beautiful brand safe packaging, summer sunset, brilliant golden orange clarity, thinning white yellowish head, exquisite lace. Taste: starts sweet and bitter simultaneously, middle is dark with some roasted notes and lots of citrus, which lingers as grapefruit, resin, and tar. Palate: peppery, stinging, and tart, middles dull to a warming and a throb in the back of the mouth, the finish is dark, warming, and delicious. Overall: This is a spectacular, delicious, and superlative achievement. At this price, intensity, and quality, I have found my go-to daily bread. Sierra Nevada, you’ve absolutely done it. You are so hired. A crisp, dry and increasingly bitter brew. Very well done version of the style, with a lot of character and depth, surprising for such a light refreshing brew. Aroma: nice, simple, citrus, light. 8 out of 10. Visuals: interesting packaging, amateur, simple, dark copper, cloudy, bronze, no head, no lace. 4 out of 5. Taste: dark barley, bitter, hoppy, good, strong, well crafted, chemical. 9 out of 10. Palate: medium quality, smoother texture, long bitter finish. 4 out of 5. Overall: Slightly different IPA flavor. I will be looking for this again, because of the relative value for price. Somewhat well crafted, especially for the cost. 17 out of 20. One of my favorite things in the world is a flight. 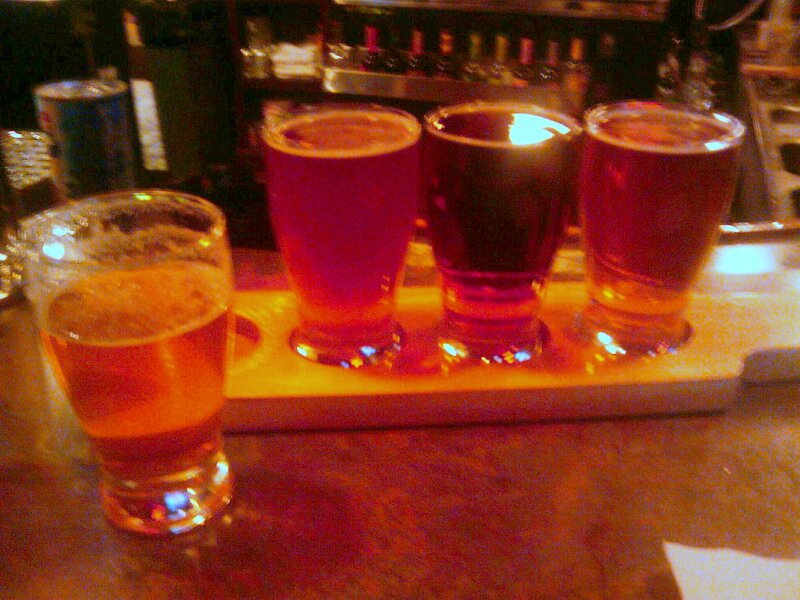 A multi round sampler that allows you to taste a series of brews on tap, while only imbibing about a pint altogether (e.g. 4 * 4 fl oz), at a little past the price of a pint. One of my favorite places for this sort of pleasure is the Hulmeville Inn in Hulmeville, PA, home of Jeff Louella, The Aleien Homebrew club, and a whole lot of great craft beer. 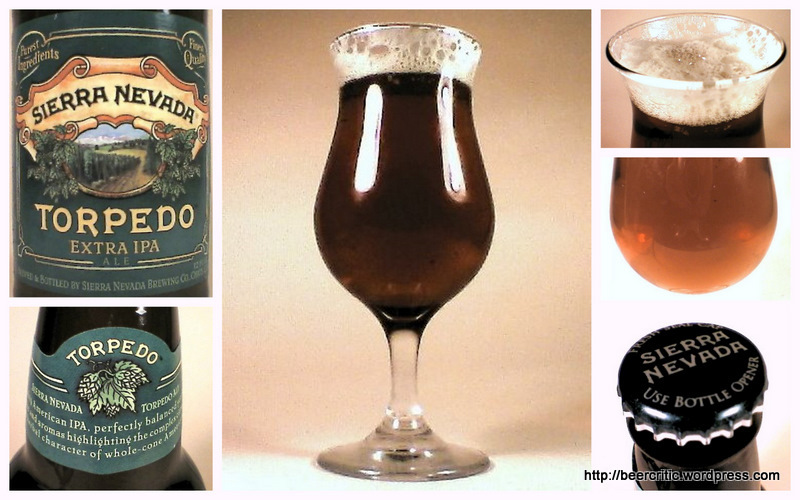 I’ve decided to add a category to BeerCritic that focuses on these Sampler Sessions, rather than doing individual posts for the brews, because I can’t showcase them in the same way as I can in my home studio, and taking notes for each of the brews can be a daunting task in public, since some people think it’s, well, weird. As a result, my reviews are often more concise, tight, and immediate, and photos, if I get them, are minimalist. So, here is the first post in this brand new category, but certainly not the last. Future Sampler Session entries will reveal the glorious visit to Bella Vista at the grand re-opening in September of 2008, with over 100 samples, as well as past visits to Hulmeville and other sampling spots, such as Triumph, Canal’s Lawrenceville, and Firkin Tavern. Russian River‘s Blind Pig IPA: gold body with a white head, very hoppy, flavors are sweet, washy, not bad, but surprisingly, not great, finishes very bitter, a bit chilly, which is killing flavor and aroma. 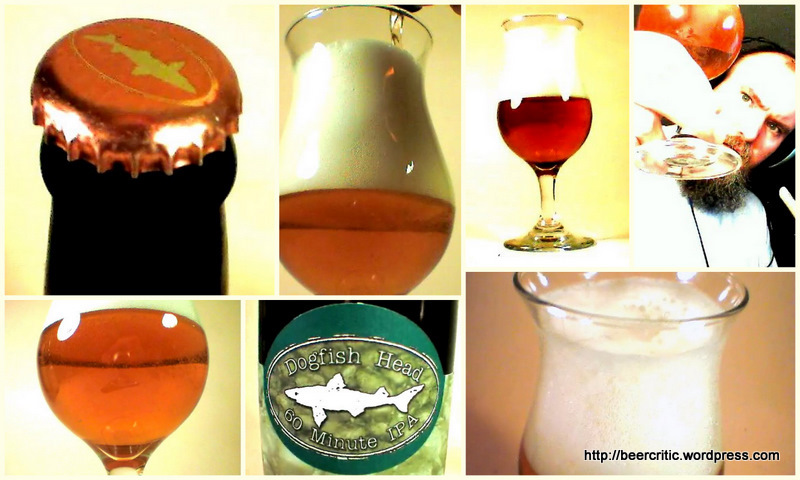 Dogfish Head Red & White: More gold than red, thin translucent head on a deep, golden hazy body, looks very nice. Taste is deep Belgian, fruity with a very warm finish. Truly great and with an amazing finish. You can really taste the wine. Sticky, sweet and warm. A must have. Troeg’s Mad Elf: deep red body, rich finish, no head on a ruby body, delicious and beautiful. Mostly malt with a bit of carbonation. Boulder’s Mojo IPA. An amber body with a tiny white head, dissipates to nil. Good hops at the end, and lots of sweetness up front. Raspberry notes, orange juice, some sourness. Very enjoyable.